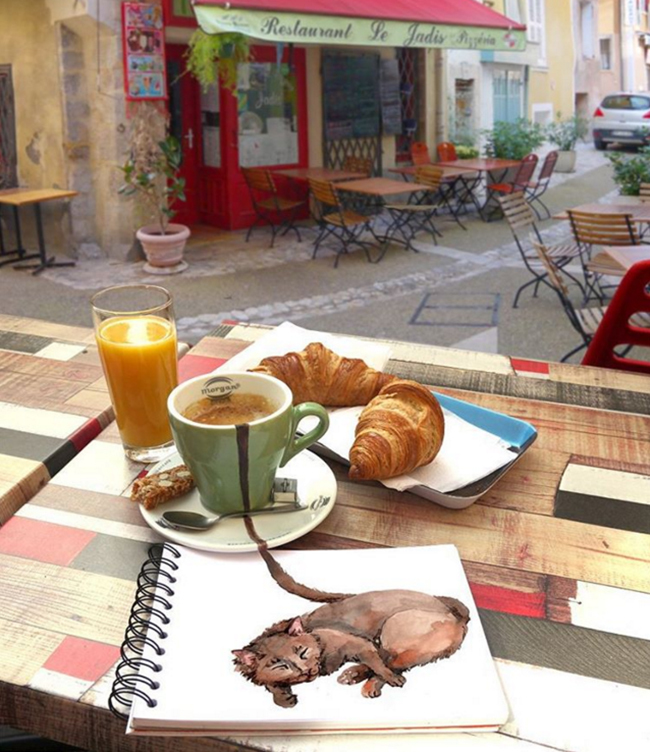 Russian illustrator combines two things everyone likes: cats and coffee. Russian illustrator Elena Efremova is fond of coffee and cats. She decided to combine these two loves and create a fairy-tale world where cats are made from coffee. In her pictures every cat is made from a different kind of coffee becoming an espresso, a latte, a cappuccino or even an Americano. Efremova’s cute cats run out of the cup to lie nearby and purr sweetly. This pair of cats represents a wonderful union of black coffee and ice cream. A latte depicted as a sleeping ginger cat. A simple drink that both human and cats can’t wake up without. Is it an espresso or just a perky cat? Pretty latte coffee cat purring sweetly.